This paper describes a study of success factors in high enrollment courses in a K-12 virtual school learning environment. The influence of variables: time student spent in the learning management system (LMS), number of times logged into the LMS, teacher comment, participation in free or reduced lunch programs, student status in the virtual school (full time or part time student), race/ethnicity, and grade level in the physical school student attends on student academic achievement was investigated in this study. Student final score in the courses was used as the measurement for academic achievement and also the dependent variable of the study. Hierarchical linear modeling (HLM) was the data analysis method used to account for the influence of school characteristics on student final score. The results show the success factors affect student academic achievement in the high enrollment online courses in different ways. The implications for teaching and research were addressed in the discussion of the findings. Future research is proposed based on the limitations in this study to help improve the effectiveness of online education in K-12 virtual learning environments. Liu, F. & Cavanaugh, C. (2011). High Enrollment Course Success Factors in Virtual School: Factors influencing student academic achievement. 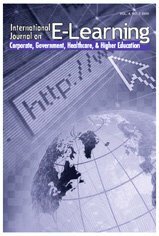 International Journal on E-Learning, 10 (4), 393-418. Waynesville, NC USA: Association for the Advancement of Computing in Education (AACE). Retrieved April 24, 2019 from https://www.learntechlib.org/primary/p/33040/.